There were neither teardrops nor tiaras in Teardrops and Tiaras. What, then, does that leave us with? Just music, and plenty of it, in a show that flowed very well. Clearly some thought had been put into it, and the audience, sat in the pleasant and relaxed performance space in the famed Phoenix Artist Club, were treated to a very wide range of tunes within the overall theme of music associated with divas. I found myself impressed with the seamlessness of it all; from the first mash-up of both the Jule Styne/Stephen Sondheim and Robbie Williams/Guy Chambers compositions of songs of the same title (‘Let Me Entertain You’) to the final numbers, I’d say we were taken on a journey, and an extremely charming and delightful one at that. Almost anywhere else, such a broad collection of songs would have sounded disjointed at best and downright confusing at worst. Here, it’s all engagingly performed, whether it’s a song made famous by Judy Garland or Jessie J. It didn’t take long, as tends to be the case with shows of this nature, to open the file marked ‘Andrew Lloyd Webber’. An unexpected seal of approval fairly late on in proceedings came from an audience member who was so unimpressed by the English National Opera production of Sunset Boulevard that he left at the interval, but, he hastened to add, “I won’t walk out on you.” ‘You’ referred to a delighted and delightful duo, Pippa Winslow and Lee Richard, plus their musical director Peter Roberts; probably my only gripe with this show is I am not sure whether the microphones on stage were strictly needed, at least not all the time. The powerhouse vocals (which were fully capable of poignancy too, when the occasion demanded) could, I think, quite reasonably have filled the room unamplified. There were lesser known songs mingled in amongst standards such as ‘Don’t Rain On My Parade’, the always sublime ‘Send In The Clowns’ and the contemporary belter ‘Defying Gravity’ – there really was something for almost everyone. Of particular interest to me was a medley of tunes from The Boy From Oz, apparently a jukebox musical (it hasn’t, as Lee helpfully pointed out, ever had a London run), though I found what elements of the plot we were exposed to rather curious. Without the elaborate sets of the large West End and Broadway stages (or much in the way of set at all in this case), the songs are allowed to breathe, unencumbered and not distracted by everything else going on around it. I found myself enjoying the songs in a different way than I might have done in the context of the shows from which they come from – and all without drastic or significant rearrangements. It may have been a little over the top. But it was always going to be that way with music from the divas. Those who like things deep and meaningful can take away as much from a show like this as those who like it light and fluffy. Appropriately camp and stagey, but warm and good-humoured, I would happily sit through all of it again. An evening of songs made famous by the greatest divas of our time. After sell out cabarets in London’s West End and the south, actor Lee Richard returns to The Phoenix Artist Club with West End actress Pippa Winslow with ‘TEARDROPS and TIARAS, a celebration of the greatest musical divas of our time’ for one night only, Monday 25th April at 7:30pm. Imagine an evening of performances from all of your favourite divas. From Pop Princesses to Broadway Belters this will be a night to remember! With songs made famous by Liza, Barbara and Kylie and with musicals such as Gypsy and Cabaret this is an evening you won’t want to miss. 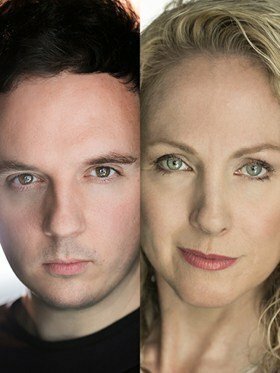 ‘Teardrops and Tiaras’ will be performed by West End actress Pippa Winslow (The Phantom of the Opera, Strangers on a Train, currently appearing in the UK Tour of The Sound of Music) and Lee Richard (Hair, Little Shop of Horrors, Whistle Down The Wind). Peter Roberts has been directing musicals and cabarets throughout the UK and internationally for over 40 years and is currently senior tutor and musical director at two of the UKs top drama schools. The Phoenix Artist Club, a theatre club – bar – restaurant, is the 2015 winner of Time Outs ‘Best Bar & Pub in Covent Garden & The Strand’. A unique Club that has the most eclectic membership in London and a lively and nostalgic theatre bar. Still frequented by stage, film, TV and music stars has been inspiring performers, writers and directors since its opening in 1988, as well as refreshing cast and crew from all the West End Theatres once the curtain falls.